Sometimes we have numbers in our spreadsheets that we don’t necessarily want viewers to see, maybe they're subjective or used in calculation of sensitive information. 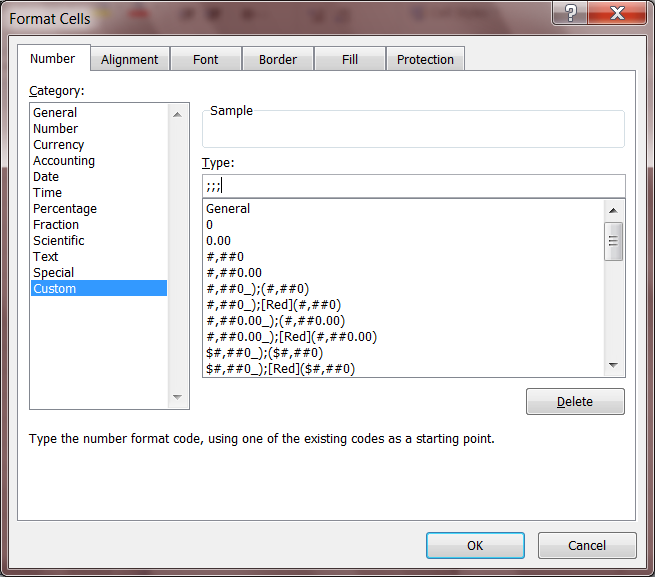 To apply the format simply highlight the cells that you want to apply it to and hit ctrl+1, this will bring up the cell format menu. Then go down to “Custom” on the “Number” tab, and enter ;;;. Hit enter, then you’re done.